These fans are great. Fantastic airflow and static pressure even at low speeds, and when you turn them up to even 65% they just put a blizzard through the radiator. The CPU is so frosty I could put it in a drink and call it an ice cube. Of course, they do get audible above 50%, but I don't even care. I lived with a laptop cooled with mini jet turbines inside it for years, and this is nowhere near those levels. These fans are on the expensive side, sure, but I think it's worth it for this kind of performance. Highly recommended. 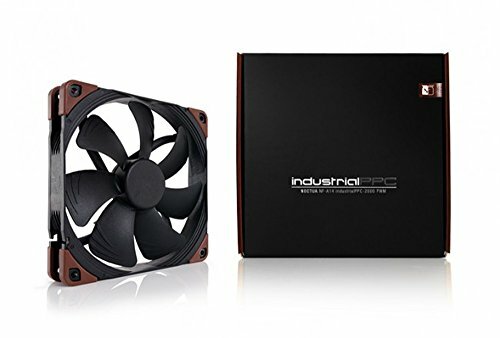 best fans in the world, i loved Noctua but hated the look, then when i found out they had black ones i bought them straight away... Then i found they had different coloured corners... I was so happy, i dont even care about the more premium price. from completed build Almost There. Great fan with lots of airflow. The color of these is easier on the eyes compared to the old Noctuas. Found some different colored replacement rubber corners on Amazon as well. Well worth the money! from completed build Murder, Death, Kill and DESTROY! Push great amounts of air but are noisy. For performance and noise might as well step up and get the 3000rpm. Practically silent and idle on PWM mode at ~10% speed, they're super powerful at moving air into the case to the motherboard. Yeah they're pricey but if you want near silence these are the ruling monarch. Beautiful design, black colour and replaceable rubber pads (i bought white ones for the theme), these are beastly fans. from completed build VR Beast - Wallet not safe! Awesome fans, quiet, slightly overpriced. Best fans for the corsair cpu wc solutions like the gtx h110i. I bought 3 of these. I love Noctua fans. It's difficult to objectively compare fans, but once you have them installed and running in your own rig, it becomes pretty easy to spot a quality part from a budget one. 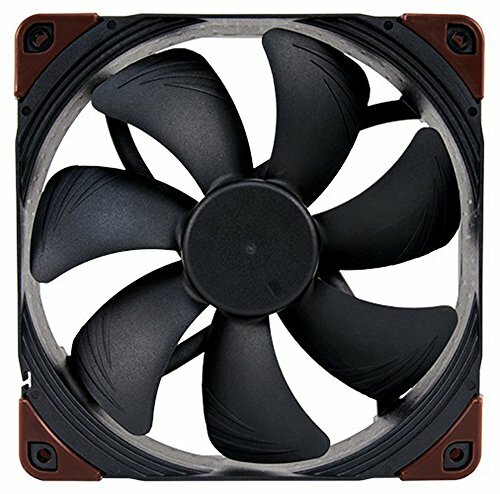 I used these to replace the NZXT fans that came on my X61 AIO cooler because the NZXT fans had a pretty good hum and even a bit of a rattle above 80% speed. I'm glad Noctua offered these industrial fans in black, and the optional white corner bumpers make them blend perfectly with my white and black build! 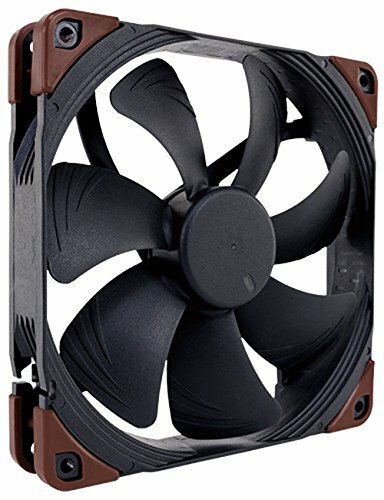 At full tilt, these fans easily move some air through the radiator, and the only audible sound is the white noise of air rushing out of the case. This is one of the few PC components where you can be sure you're getting a premium product for the price you pay.